July 11, 2008: permanent link to the most recent course homepage. Oct. 1, 2006: I will be teaching this course again in Spring 2007 (April-June 2007). I have converted and uploaded all 17 papers from the web option. Please check your paper on the Book Essay page for errors, missing pieces, and broken links. Let me know if it needs more work and I'll try to find some time to fix things! To all of you whom I don't see: have a good spring break! My office hours in spring will be W & Th, 1-2pm. 2006 midterm survey; results; 2004 midterm eval. 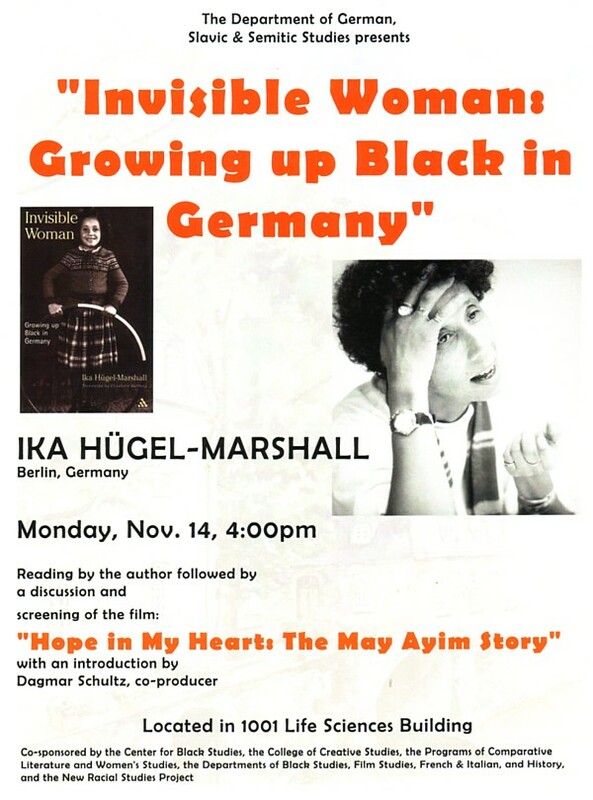 Memoir of the daughter of a Black US GI and a young German woman, born in 1947, about what it was like growing up in West Germany during the 1950s. A research journalist recounts the history of the Berlin wall intertwined with stories about how ordinary people experienced it. Age 13 when the wall came down, this student recounts her experience of reunification with West Germany. Germany was one of the United States' main enemies in two world wars prior to 1945, but by the early 1950s it was well on the way to becoming our most reliable ally in Europe, a "bastion of democracy" buffering capitalist western from communist eastern Europe. How was this turnaround possible? This course pays special attention to the process of development of German political culture after 1945. The 1992 edition is available for on-line checkout at the UCSB library. BEFORE YOU CLICK: copy "Fulbrook divided nation" to paste into the keyword search box. That gives you 5 hits including the 2002 updated edition; the electronic version is no. 4). The title link takes you to netlibrary, where you give yourself a login and password. If you just "browse" it (you can type in page numbers in the upper right), others can use it at the same time; if you "check it out," no one else can access it. Dec. 12, 2005: I'm just beginning to construct the website with current information. For now, to find out more about the course, visit the 2004 133c website, with the 2004 133c syllabus. BBC on-line quiz: What do you know about present-day Germany? (Dec. 2002). In German: siehe auch the Dec. 2005 Spiegel article "Die Hitler-Obsession," with a link to a German version of the quiz. The 2006 syllabus is now available on-line (with the corrected Hügel-Marshall reading assignment for Jan. 27-Feb. 1). L1: Introduction, and a preliminary version of L2: What is Germany? are also available. L3: 1945 Film is pretty much complete. On Wednesday after class I will give add codes to the students on the waiting list. Jan. 19, 2006: Friday 1/20 we will have midterm Q1, which will be about German political parties. You should review the following textbook pages (Fulbrook 1992 edition): 23, 33, 46f, 55-7, 67, 137f, 170, 180f, 212ff, 247, 254, 282, 337f. I'd suggest making a list of the acronyms of the political parties (esp. the post-1945 parties!) and what they stand for, and maybe draw a diagram showing whether they are on the political left, in the center, or on the political right. GermanCulture.com.ua political parties page has links to its own pages with English descriptions of the currently active German political parties. Its Weimar Republic page includes brief characterizations of some of the historical parties. According to site host Tatyana Gordeeva, this content moved from about.com to the current Ukrainian-hosted location in Dec. 2001. Jan. 25, 2006: today will have Q2, based on textbook chapter 6. While you're reading you may want to focus especially on the Potsdam conference, denazification, and the reasons for the division of Germany. If you have questions about the book essay, today is the day to ask them! The Book Essay handout is now available. Wed., Feb. 15, 7-9pm: North Hall 1006. The Promise (1995, 1 hr. 55 mins.). Jan. 26, 2006: Book essay: Books about Nazi Germany; very short or very long books. 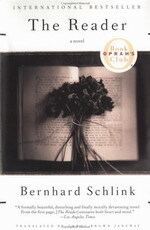 Several people have asked about books about Nazi Germany and the Holocaust for the book essay. In general, this is not ok. 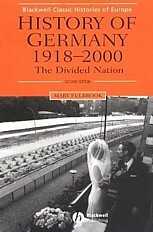 However, there are ways to link those books to post-1945 Germany so that they would be acceptable. 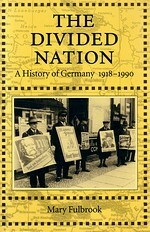 One way would be to examine how the book was received in Germany when it was published. Another is to do a "web project"--a commented guide to reviews of and websites about the book or its author. If you are interested in doing this, ask me about it in class. New Mexico State library's "The Good, The Bad & The Ugly: or, Why It's a Good Idea to Evaluate Web Sources" page has 5 Evaluation Criteria (checklist with brief rationale). Some topics are only treated in very short or very long books. If you choose a short book, I will expect much more outside research (reviews, about the author, other treatments of the topic, perhaps on the web). 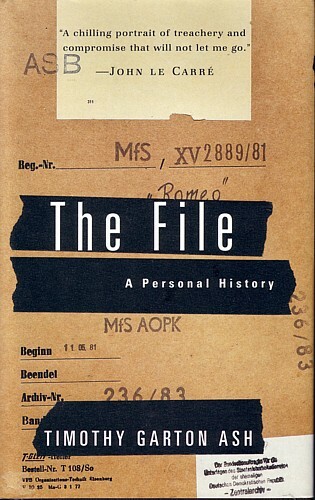 If you choose a very long or difficult book, I won't expect too much more than an accurate summary description of the book and its thesis (i.e., you don't have to analyze as much). 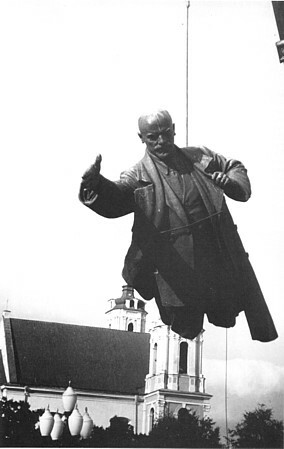 Jan. 27, 2006: I'm working on the lecture outlines: L5-Political Parties, L6-Weimar and Nazi Germany are just about done. 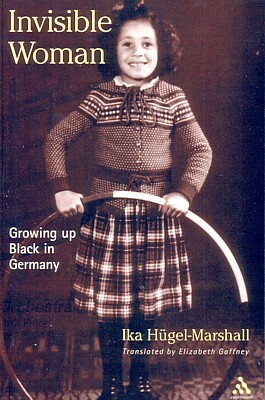 Jan. 28, 2006: I forgot to announce on Friday that you should start reading Growing up Black in Germanythis weekend and finish it by Wednesday. It's not a long book, but you should probably start it this weekend. Also lecture outlines L7-Defeat and Its Legacies, and L8-Four Ds are available. Jan. 30, 2006: Rescheduling. 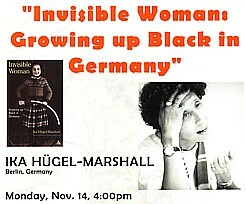 I've decided that it would be better to postpone the discussion of Invisible Woman: Growing up Black in Germany until Friday. We will also do Q3, based on that book, on Friday. I've also updated the CourseLinks page with suggested books for the essay. Feb. 6, 2006: Q4 will be on Wed., 2/8, about the state structures described in textbook chapter 10.
also: possible visit by Prof. Mahlendorf, who fled to W. Germany at the end of the war. 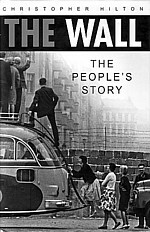 Feb. 12, 2006: I haven't had enough time to get very far with putting up the rest of the lecture notes yet, but I want to be sure that everyone knows that you need to have read Hilton, The Wall: The People's Story pp. 1-240 by Monday. In class I noted that the end of chap. 3 (pp. 77-82) make a crucial point. We will have Q5 on Monday. Please note that you must turn in your prospectus with the book reviews stapled to your paper draft on Friday. The paper draft should indeed be the "full" version of what you will submit. 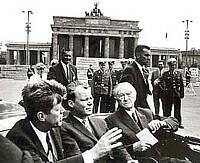 I've uploaded lecture notes for L11: West in 1950s, L12: Berlin Wall, L13+14: Diverging Societies, and (very rudimentary--just the powerpoint text) L15: Foreign Relations. NOTE: Q8 on Wednesday will be based on this reading. note 3/3/06: 10/16 students read the OCR text (4 printed it); 2 read the images online. March 5, 2006: We had an important lecture on Friday (3/3), and only half the class was there. Thus there will be Q9 on Monday (3/6), about Fulbrook pp. 267-78 and chapter 13. I've added up Q1-8 scores. To check my addition, if you still have your papers, you can tell me what total you get. Count a "+" as +0.5, and a "-" as -0.5. Write this on Q9 or Q10. If there is a discrepancy I'll check my addition and possibly ask you to resubmit. Range: 17 to 36, with outliers of 12 and 39. March 12, 2006: We will have Q10 tomorrow (Monday), on Jana Hensel's After the Wall. Note: add up all of your previous Q scores plus the extra credit on Prof. Mahlendorf, and write the result on your Q10. That will enable me to check my recordkeeping and addition. Don't forget the evening film screening this Wed., Mar. 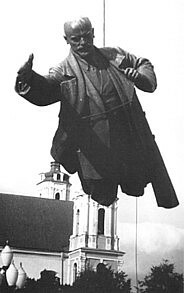 15, 7-9pm: North Hall 1109: Goodbye Lenin (2004, 2 hrs, 1 min). Alternate date: 3/16, 6:30pm in HSSB 4020. An extra credit "Q11," given at the screening, can be submitted on Friday. March 15, 2006: I've made a page of lecture notes for L24-26 on the Process of Unification, including Mr. Fawcett's lecture. The notes are a rump that don't connect to other notes yet. I hope to get to these by next Monday, so they'll be available for the final exam. Final announcements: Before Friday's lecture I will try to grade all papers and upload at least preliminary versions of the web option papers I've received, so that I can return your papers. There will be no final exam study guide--I simply don't have time before Friday. You can see the 2004 study guide and exam for an idea of how the exam will work. As announced on the syllabus, there will be 3 of 9 IDs and 1 of 2 essay questions. It will be a word-limited take-home, due next Thursday during the exam period (noon-3pm). I will try to publish it by next Tuesday, 3/21, 6pm. March 16, 2006: As I announced in class, I will make the take-home final available by noon on Wed. 3/22, but possibly on the web as early as Tuesday evening. It is due at the absolute latest on Thursday at 3pm in my office, HSSB 4221. It is word-limited and should be typed. For details see the March 15 announcement. for 3 points max: Write a paragraph or two about a scene in the film that you found significant, and why. March 21, 2006, 11:30pm: The 2006 final exam is now available. I will leave hard copies outside my office door by 12:30pm Wednesday. The typed exam is due by 3pm Thursday. March 23, 2006: I will be in my office today, Thursday, noon-3pm to accept the final exams and return your papers. A note on the final: I used to give a slightly longer exam (3 IDs, one source interpretation, one essay question) during a TWO HOUR period as an in-class exam. Thus you should be able to complete the final exam in 2 hours, even including the typing time. My office hours in spring 2006 will be W & Th, 1-2pm. 2004 analysis: 33 students were enrolled in the course in 2004. Thus each student checked this site about every 3rd day early in the course, about every 2nd day mid-way through, and almost every day at the end.